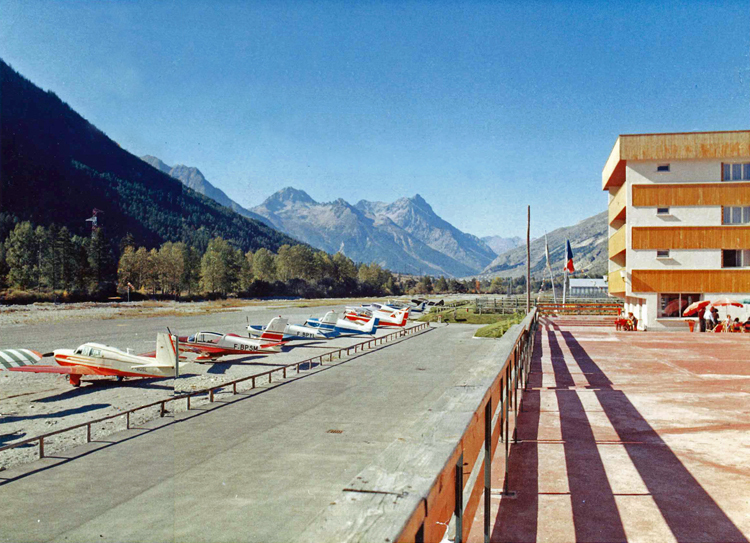 Serre-Chevalier airfield (French: Altiport de Serre-Chevalier, also known as Villeneuve) was a small airport 545 kilometers south/east of Paris. 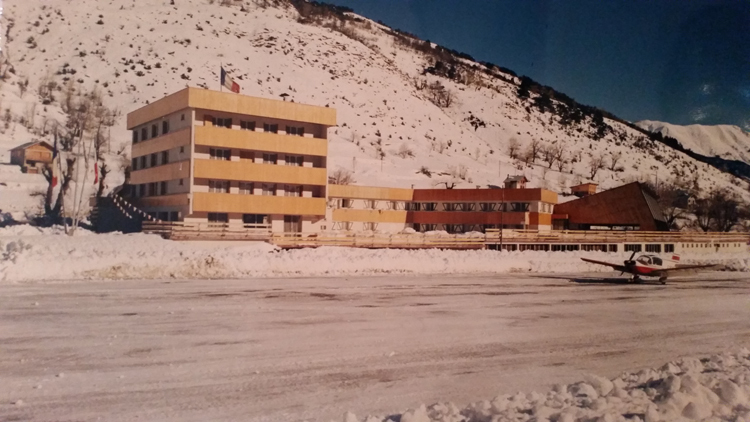 It was developed by Mr. André Julien from Grenoble, who recognised and developed the tourism potential of Briançon when he visited the area in 1958. His plans were soon hindered by the impossibility to access the town through the Lautaret pass during pereiods of heavy snow. 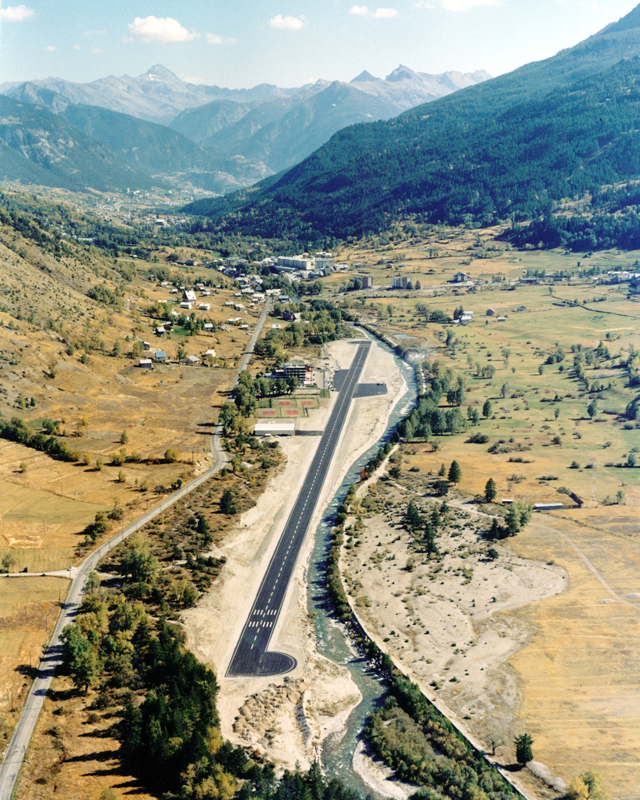 Being an avid sports aviator, de came up with an altiport, a high laying airport, having the longest runway in its class in Europe, to allow the wealthy and famous of Europe to reach Briançon. In 1965, after a long period of flattening and earthworks, a strip of asphalt more than 1000 meters welcomed the first planes and their wealthy fur-coated passengers . To accommodate them close to the airport, he built a 70-room luxury hotel and of course hangarage for their aircraft. Something like this had never been seen in France! Travellers in private planes began to arrive not just from France, but also Austria, Italy, Germany, and Switzerland. Around the altiport, he built a 70-room hotel with a restaurant, a heated and covered swimming pool, a spa with saunas and hydrotherapy rooms, a horse club (14 horses), a gym, four tennis courts, a drugstore, a disco and of course garages for planes. Never seen in France! 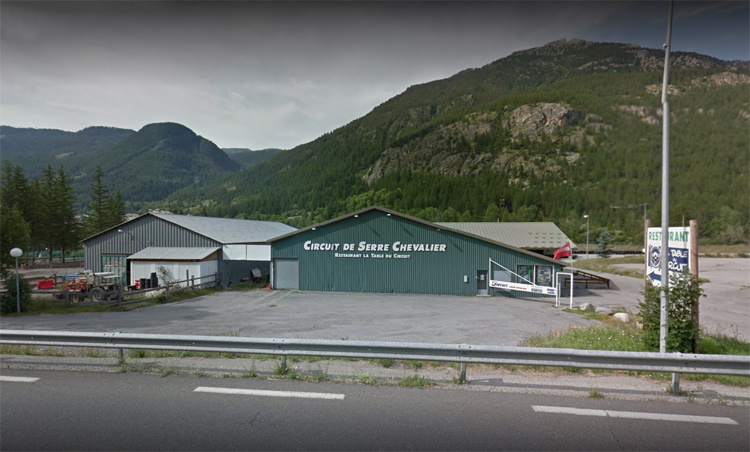 The innovative manitou of the place even renamed Serre Chevalier the "Station 4 Seasons" clearly displaying its objective: to make the valley live year-round. 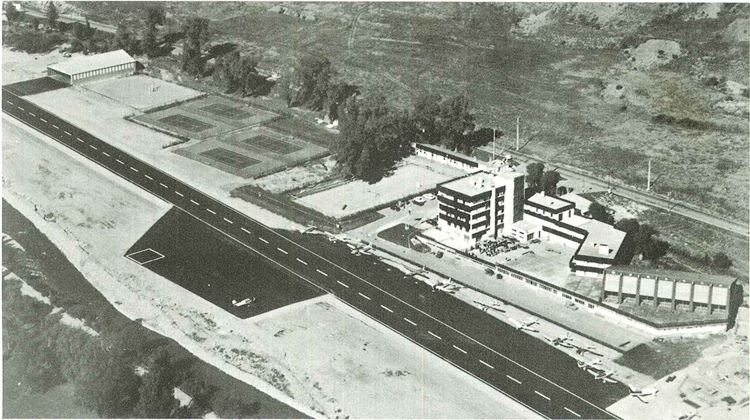 1970 Aerial view of the altiport. Note the absence of runway numbers (used with kind permission of Julien Laurent). On 27 March 1973, the Parc des Ecrins, the fifth national park between Isère and Hautes-Alpes was created by presidential decree to protect 92,000 hectares of mountains rising up to 4,102 meters above sea level. The decree put a definitive stop to the uninhibited ambitions of André Jullien. That spring day, on the tarmac of his altiport, nobody drank champagne. 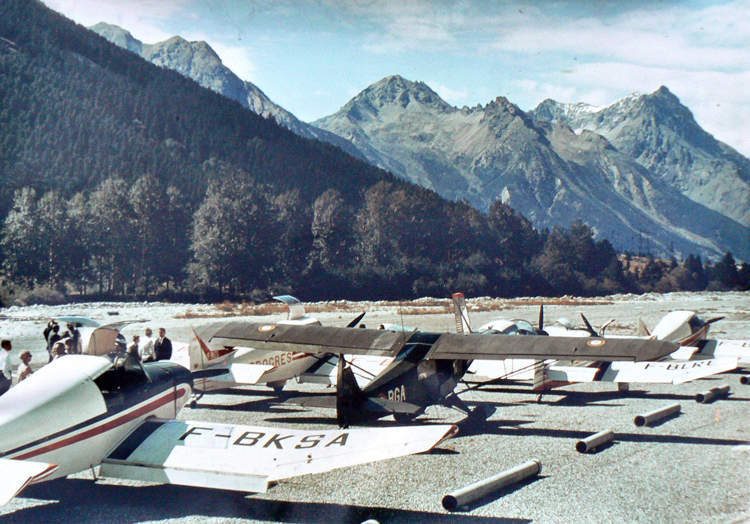 The airstrip had just been written off by Valéry Giscard d'Estaing, the then President of the French Republic. 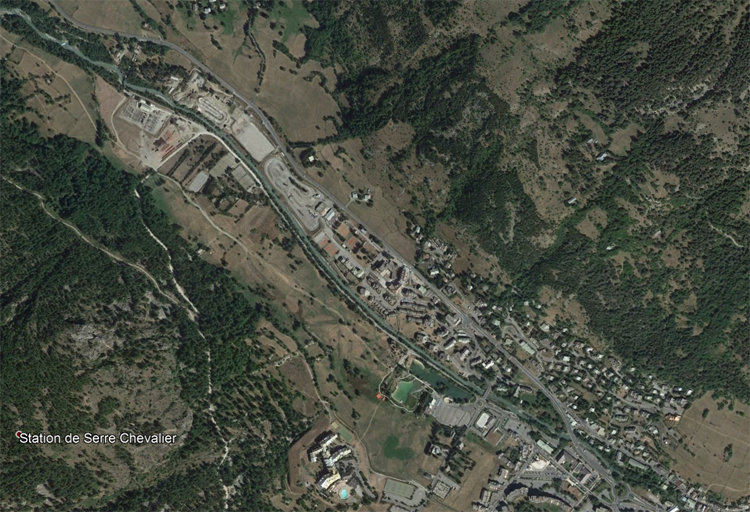 The story of Serre Chevalier would have to take a different course. The altiport, having never had official authorization to operate, continued to operate until 1976 but was then closed. In the 1980s, the runway was dismantled and by 1989 it was replaced by tenniscoursts and a car ice racing circuit. With the exception of two former hangars, nothing remains of the airfield. 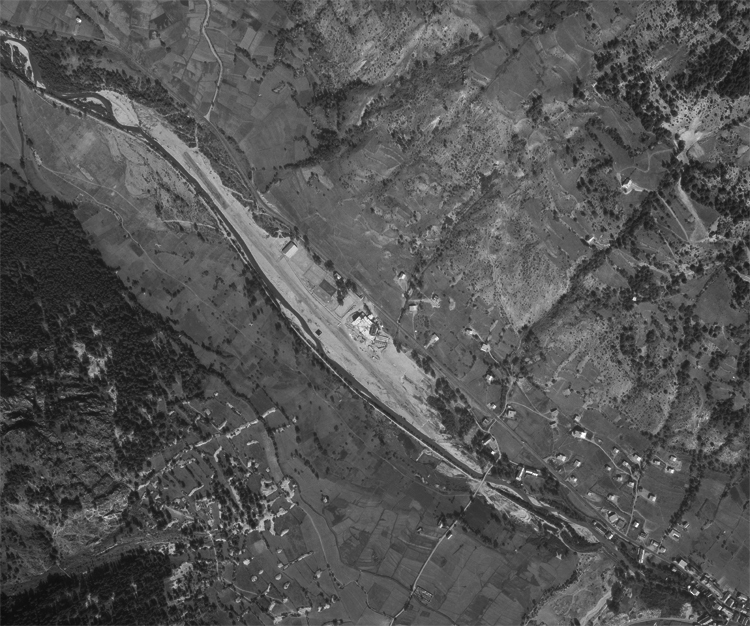 2016 Aerial view of the place where the altiport was located (Google Earth). Special thanks to Mr. Julien Laurent to give us a complete story and a lot of documents and the permission to publish them here. Merci!